Moody navy / indigo is heaven when it comes to decor. It inspires the feeling of being encompassed in your space and surrounded by calm. The sentimentality of long days cosied up with a book or intimate dinner parties shared with friends. Navy teams up perfectly with a list of colours and tones. I will be adding an accent of black with mine with a hint of copper for warmth. You can play with coral, crisp white, grey and pastels to change the mood. 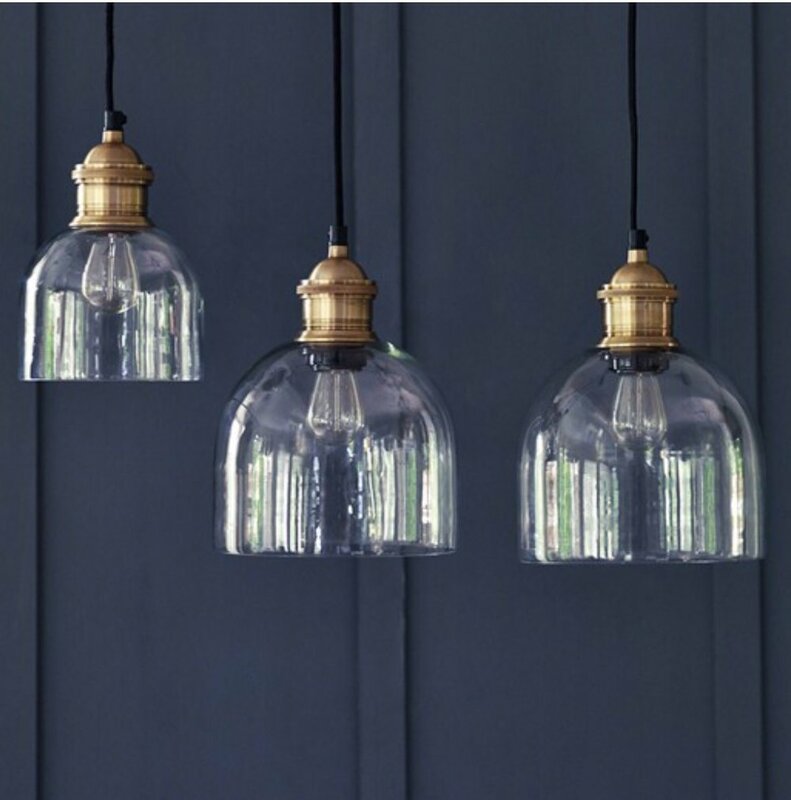 I am particularly loving these, 'Flori' glass and brass light pendants from Rowen&Wren to add an ambient, warm glow to your space.